This past week, Yeshivat Maharat, posted an article on their Facebook page. The article, originally found on the website Kippah, by Channan Greenwood, announced that Rabbi Shlomo Aviner, a prominent Religious Zionist Rabbi, gave his stamp of approval on women being ordained as a Rabbah, female leaders to occupy the same space and place as their male counterparts, Rabbis, in formal congregational roles. This statement answered the call that open orthodoxy has been looking for, a prominent figure that endorses the goals of the ideology, helping actualize a new reality for women’s involvement on a wider playing field than a handful of communities currently testing it out. While Rabbi Aviner’s place within the Religious Zionist movement in Israel has a long and significant history of positive contribution, let it be clear that the advancement of women’s issues is not one of them. In 2012 as reported YNET by Kobi Nahshoni, Rabbi Aviner made it clear in a halachic ruling that it is improper for women to run for a political position in the Kenesset due to immodesty, bringing his reasoning from Psalms 45:13, “Exposure in public is against the Jewish perception of ‘All glorious is the princess within her chamber”, and has also called upon the right for women to vote to be rescinded, though admitted this is not possible in today’s modern era. Even in Rabbi Aviner’s own words surrounding this topic of women learning and becoming qualified as Rabbah’s he serves a backhanded compliment, advising that women can only be involved in this area if they are only working or serving other women. That they are not truly equal to their male rabbinic counterparts, but at least they can answer questions for women. While I have not presently formed an opinion around the area of women taking positions of clergy type roles, I have taken an opinion on fighting a cause using tools and arguments that actually serve the argument rather create a disservice. For Yeshivat Maharat to use this Rabbi as its poster boy for endorsement is to at the same side reverse its work in actually creating equality for women. Sure, as Rabbi Aviner states it is a great thing for a woman to learn Torah for the sake of learning and for the growth and development of her connection with both God and her people. But to simultaneously invoke a Rabbi that has pushed against women’s involvement in other areas of society, ideally returning women to being the silent majority is a disservice for the advancement of women in our community and our society. If Yeshivat Maharat wants to advance women’s roles in our world, both the Modern Orthodox world it claims to be a part of, but also and in my view more importantly the wider society both here in America and in Israel, then it would be better to renounce this view of Rabbi Aviner. Tell him thank you but no thank you, it is not just about us but about women in all walks of life. Don’t use him as your poster boy. Originally from Auckland New Zealand, much of Alon's time over the past ten years has been for the growth and development of community. 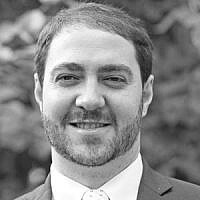 Alon has an MA in Sociology from the University of Auckland, and is a graduate of Yeshiva University's Semicha program. He is the Rabbi of the ACT Jewish Community in Canberra, Australia. 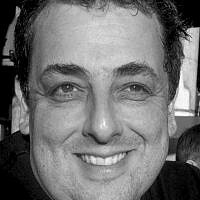 Alon also holds a degree in Medieval Jewish History.